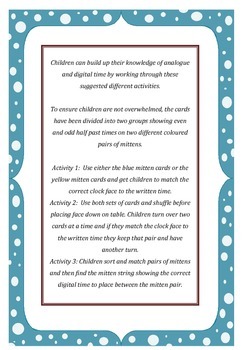 I made this game to help the children have plenty of practice in learning how to tell the time to the half hour. 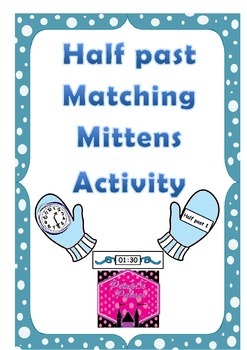 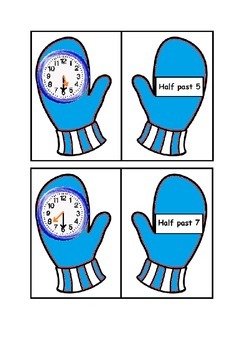 To make games and activities harder we combine these cards with the Telling the Time O'clock Matching Mitten cards - these and other products can be found at http://www.teacherspayteachers.com/Store/Pempis-Palace. 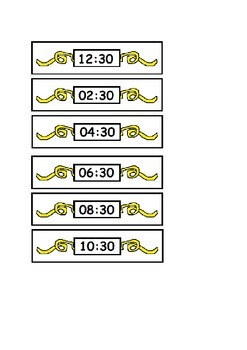 I am always eager to hear any feedback on how I can improve my products so please let me know.